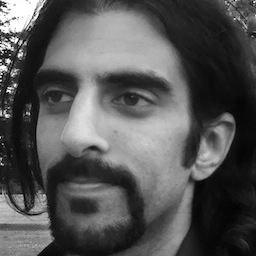 One of NonLinear Educating Inc.'s wizards behind the curtain, Rounik is our main forum administrator and Blog tips writer, and a great trainer too! Rounik is a fanatic about all things Mac! He is an Apple Certified Trainer and consultant. Over the last six years he has trained teachers, corporate clients, musicians and individuals how to use Apple Mac software. Clients have included Apple Authorized Training Centers, Charities, Youth Centers, Schools, Bath Spa University, The Study Centre at City of Manchester Stadium and The National Assessments Agency. Rounik started out on guitar playing in rock bands and eventually went solo as a singer/songwriter before fully embracing the world of Mac based computer music production back in 2002. He hasn’t looked back since. His music and vocal talents have appeared on TV adverts and albums by renowned Italian composer and producer, Roberto Cacciapaglia. Commercial composition and production have led to his music being used at Training events, on CD, for download and on radio adverts across the UK. With a background in Teaching English as a Foreign Language, Rounik began exploring using ICT in the classroom to enhance learning techniques. With experience of facilitating learning in Europe and Asia he returned to the UK to explore teaching and learning methods and continue his audio/visual Mac journey. He is currently designing courses for Education on using Macs to enhance creativity in the classroom. If you’re looking for Rounik, most likely you’ll find him on the macProVideo.com forums. He enjoys his varied contributions to macProVideo as Forum Administrator, Editor, Trainer and Blog Writer. I consider myself a pretty advanced Mac user. And yet, in this tutorial, Rounik shows me stuff about the OS I simply did not know about, and it has significantly changed my work flow for the better. Some great inside tips and tricks. Worth going through, even if you think you know your Mac. 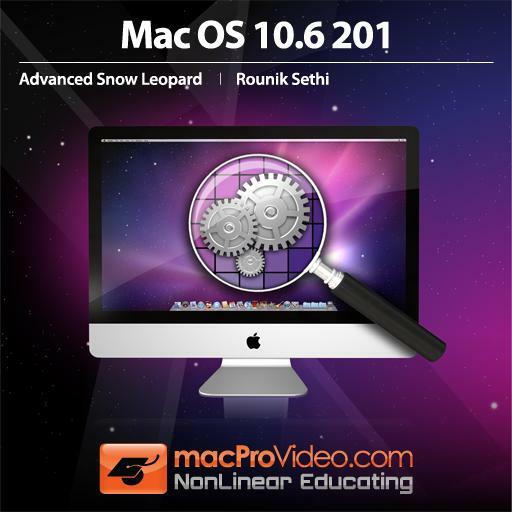 A great video and a must for OS X users. Rounik's presentation is excellent as he is a great teacher. I've moved on to Lion now but I still go back over this video as it's easy to watch and covers subjects that are a must for Mac users. Great to see a section on using the Terminal. Thanks Rounik! Following on from the Core Snow Leopard Tutorial I found this very useful. Rounik is an excellent teacher and he guides you through tons of stuff in a friendly and involving way. Ok, you could probably sit there with your Mac for several days figuring these tips out for yourself but it's definitely more cost-effective to buy this title and sit back and be shown. Five stars all the way!! Appreciate Rounik´s tutorial even though there are applications that are not applicable with my Snow Leopard for german language.